After making the Boredom Pie (you can see it in this post), I had a bunch of apple jam left so here came the Question of the Week: "What do I do with it?" 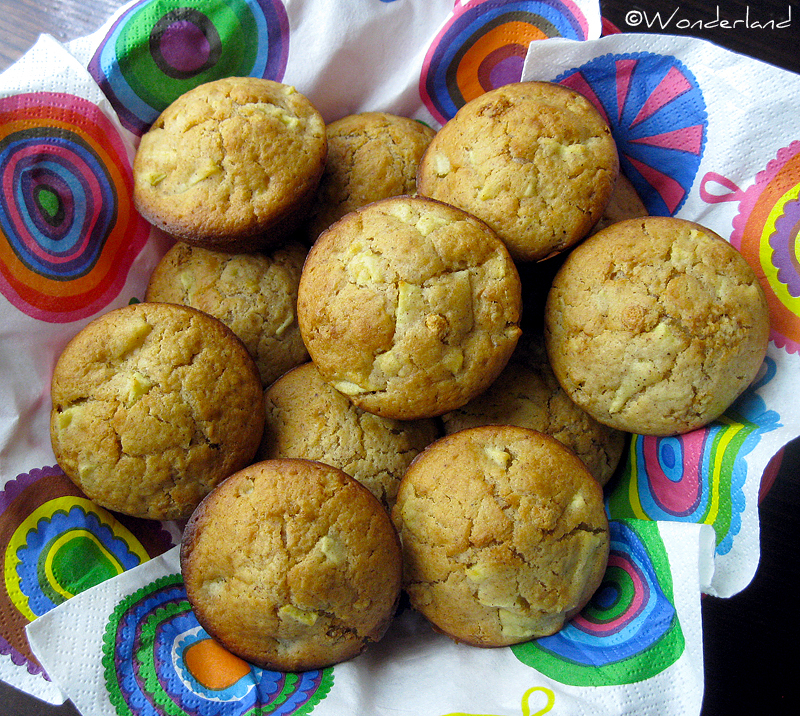 So, here's some delicious super soft muffins for my little friend Danny! HINT: For this recipe you can use also other types of jam, like apricot or peach jam if you like! Preheat the oven at 180º C (356º F). Either line 12 muffin cups with paper liners, or you can butter or spray them with a non stick vegetable spray. Peel the apple, remove the middle part and chop it into small pieces. Put them in a small bowl and mix them with 3 or 4 spoons of jam, until well combined. In a second bowl mix the dry ingredients: sifted flour, sugar, yeast, cinnamon and a pinch of salt. In a third bowl whisk the egg well with milk and oil, then add this wet mixture to the dry ingredients. Stir with a rubber spatula just enough to combine everything, add the apple & jam mix and stir again. 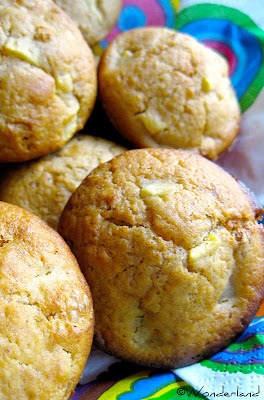 Spoon the batter into the prepared muffin tins, for about 2/3. Bake about 20 - 25 minutes or until a toothpick inserted in the center comes out clean. Place on a wire rack to cool for five minutes and then remove muffins from the pan.